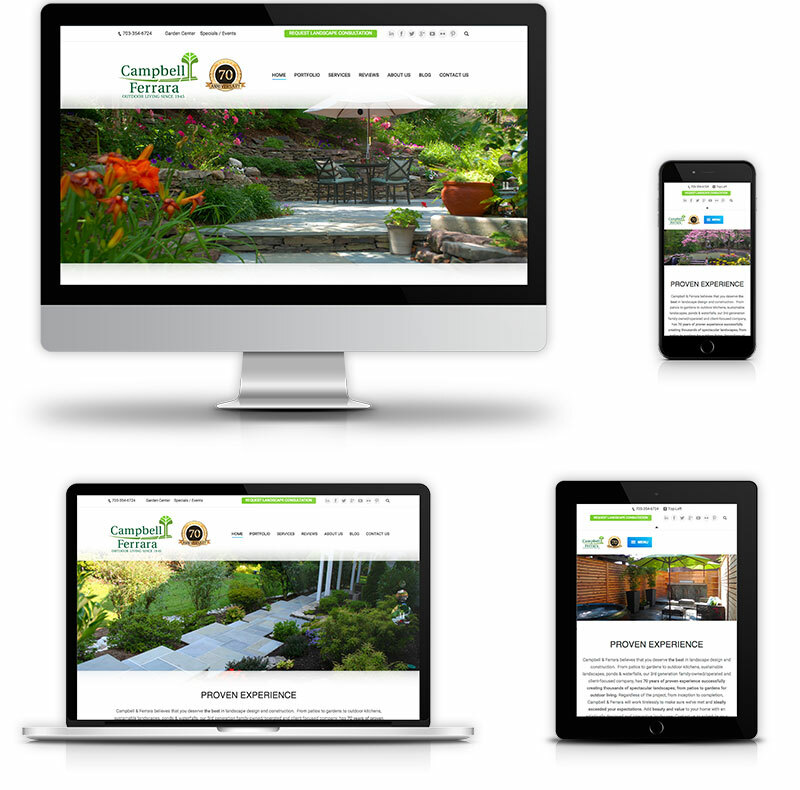 Campbell & Ferrara is a 3rd generation family-owned/operated and client-focused landscaping company with 70 years of proven experience creating thousands of spectacular landscapes; from patios to gardens for outdoor living from inception to completion. We were chosen by the owners to create a new, modern and responsive website to represent the pride, quality and beauty that Campbell & Ferrara delivers to their clients. We created a dynamic and compelling mobile-friendly website design that allowed the company to beautifully display its extensive portfolio. Providing them with the necessary online tool for marketing their outstanding landscaping and home contracting and home improvement projects.